An Agora is an educational tool that uses the Scout Method to reach the educational objectives for the Rover age section and that has a special emphasis on youth empowerment. This year Agora will take place in the beautiful setting of Château Jambville, near Paris (France), from 16-19 April 2015. 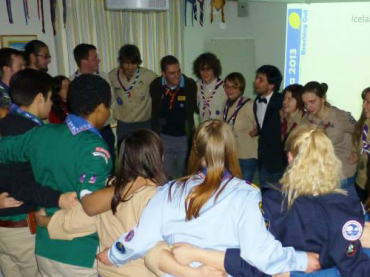 For more information about the event please refer to the event’s website and Regional Circular 01 2015 issued by the European Scout Region of WOSM.